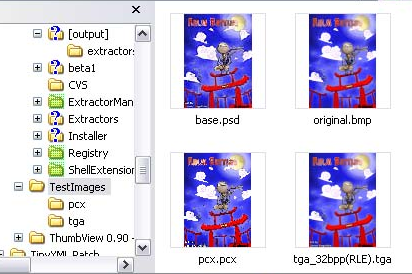 I’ve shared how you can add PSD Thumbnails In Windows Explorer, but there are many Image Formats that are not natively supported by Windows OS because of this most images don’t have thumbnails in Windows Explorer which makes it difficult to preview the file unless opened in the required program. There are 2 versions of the software and both the versions are free and It’s you choice and required features that can make the choice. ThumbView – Gives users the total control over the installed Thumbnail Extractors. ThumbView Lite – if you just want to have thumbnails and infotips for 19 image types, you can use the Lite Version. Both work on Windows XP/2003/2000 and (Not yet tried on Windows Vista) and requires .NET Framework 1.1 or higher installed.